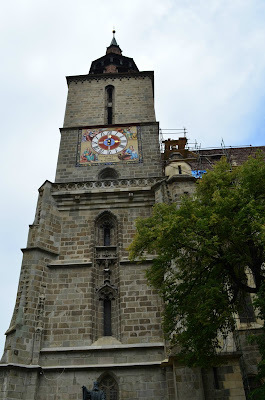 but it turned out I was more impressed with Brasov than the castle itself. 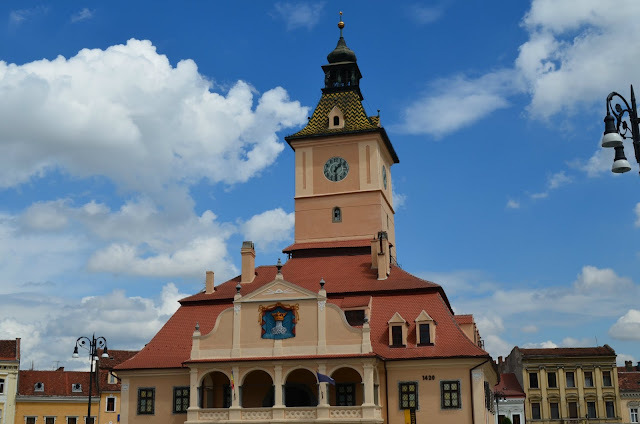 Brasov attracts huge crowds thanks to Dracula's mythology though there is nothing related to him here. 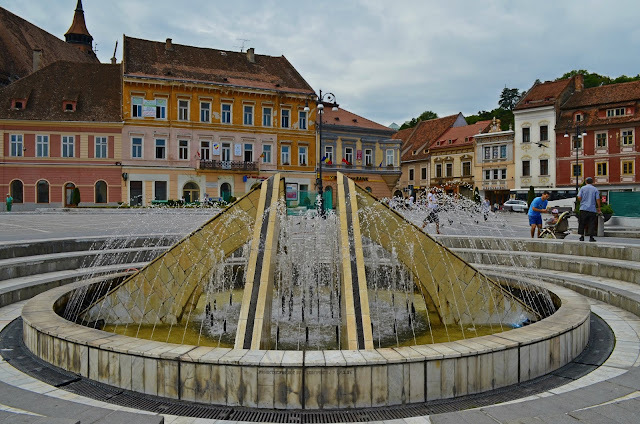 I knew Brasov was small but I definitely didn't expect to actually find such a nice, clean town with cobbled streets and beautiful architecture... I was pleasantly surprised. The heart of the city is Town Hall Square (Piata Sfatului) which is bordered by the Black Church, the former Council House, the Orthodox Cathedral, views to colorful architecture and terraces. At the top of the Town Hall building you will find the Trumpeter’s Tower once used as a watchtower. And they are making some works there so I had a hard time taking pictures.. and that's why I don't have photos of the entire plaza. The Rope Street (Strada Sforii) is the narrowest street in town and one of the narrowest in Europe at 1.3 meters (4 ft) wide and 83m. long. At first was destinated to link 2 streets, being a necessary passage way for firemen. Other than being really tiny, there’s nothing really special about the street but you can take some good photos there if it's not crowded . 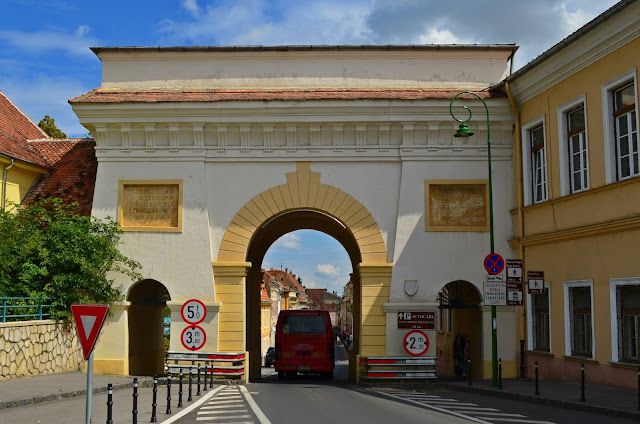 Ecaterina’s Gate – this medieval gate was built in reinassance style in 1559 for defensive purposes and is the only part of the medieval gates still standing. Presently, it houses a museum that presents art and history exhibitions. Schei Gate (1828) it has the shape of an triumphal arch and was build to facilitate the access into the fortress. 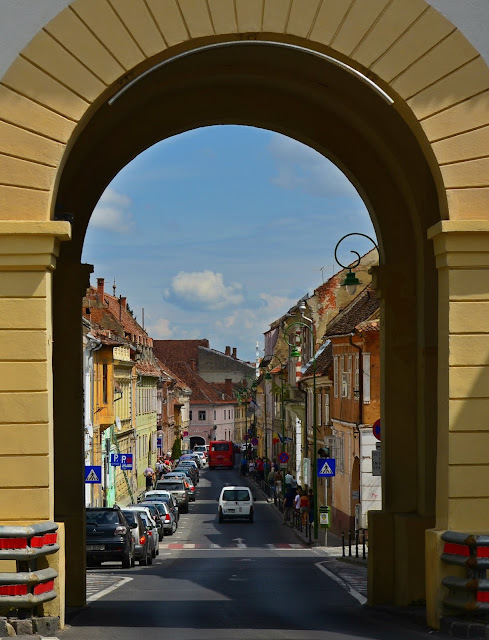 The gate has three entries shaped as arches, 2 smaller on sides, and a large one in the middle. 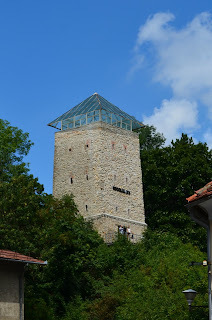 The black tower it is one of the four watch towers of Brasov Fortress. The tower is over 11m. high and was intended to prevent the enemies approach the citywalls. Today the tower houses a museum section. 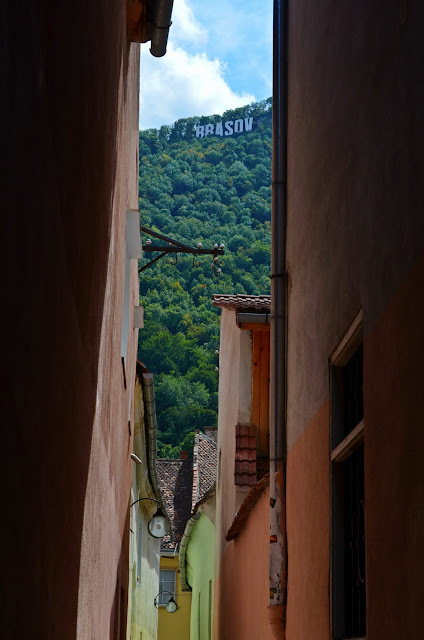 Every city has it's own 'signature', Brasov's is the Hollywoodesque-type sign on the Tampa mountain. You can see it as you enter the town. You also can take the funicular or walk for a panoramic view over the town... Unfortunately I didn't because the rain ruined my plans .. 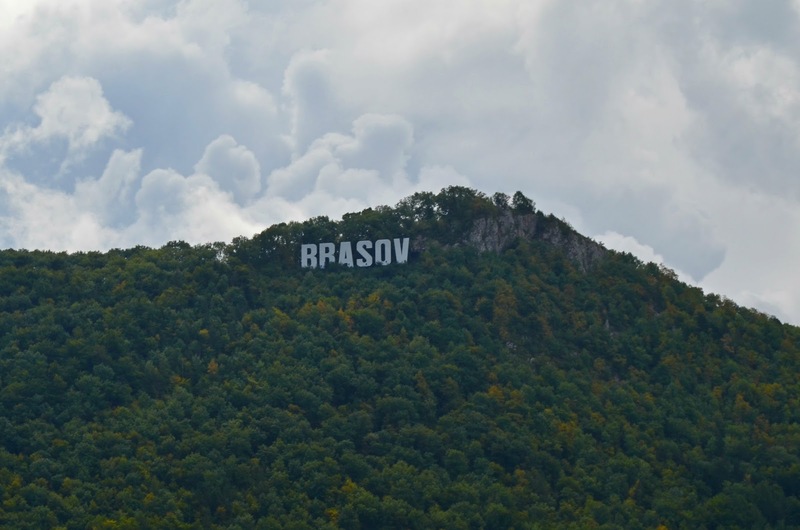 Here's the Brasov sign on the Tampa mountain from the Rope Street. Ah! 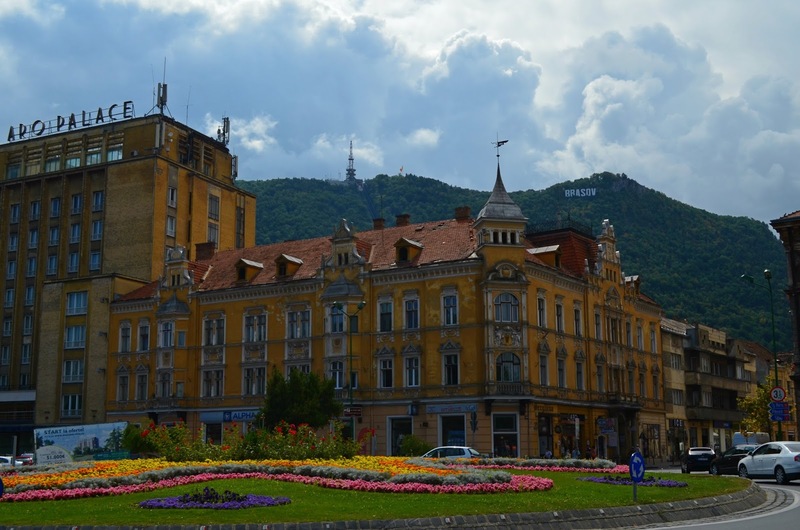 It's literally a year to the day since I first stumbled upon Brasov. It's really one the nicest cities I've been too, and so clean too! 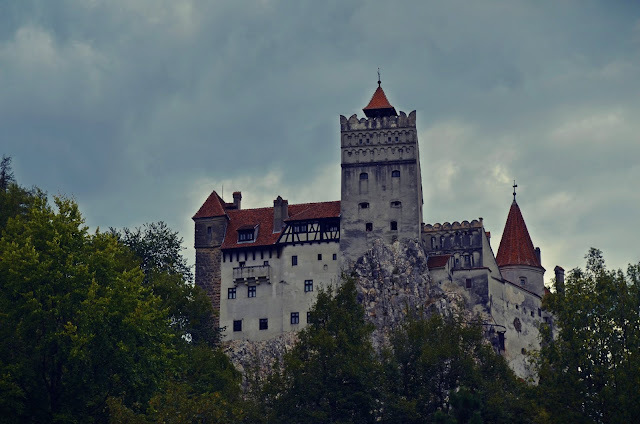 I loved Transylvania when I was there years ago. And Brasov is the capital and gateway to exploring all of Transylvania. I'm looking forward to returning soon (hopefully next year) and seeing how it has changed and experiencing its magic (like you can see from your photos) again. 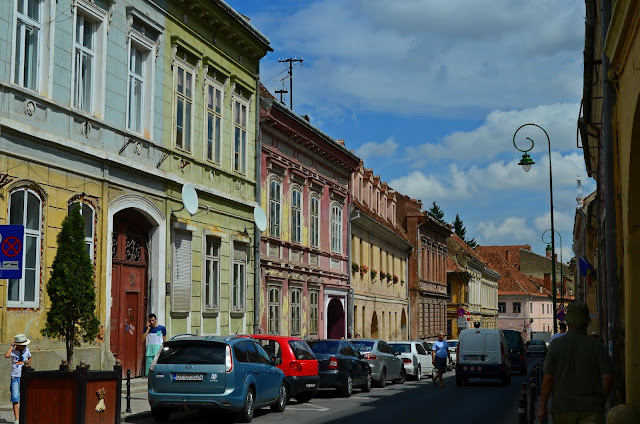 I actually never heard of this town but I have heard a little bit about Romania. 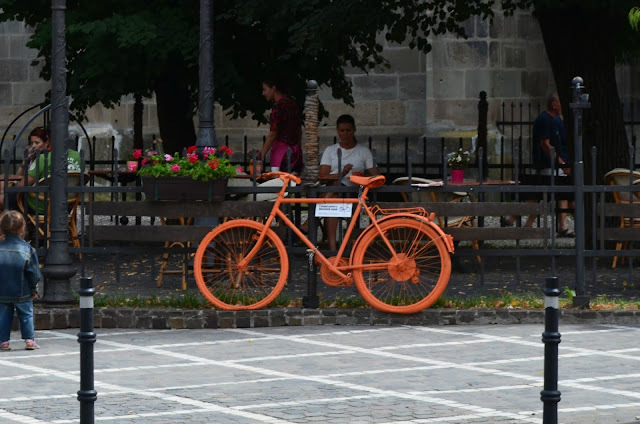 From the pictures though, the town looks lively and colorful! Romania is one of those countries that really deserved further exploration. 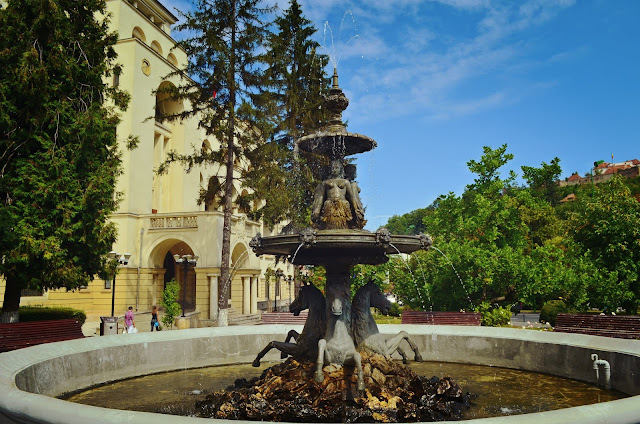 I have only been to Bucharest to visit my sister when she lived there. She travelled all over. 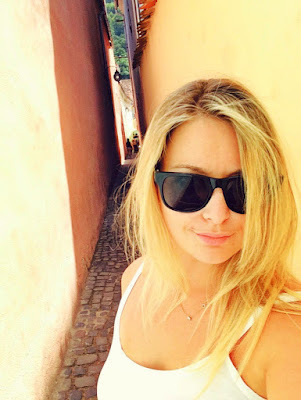 She did say Brasov is amazing! I love the old world feel of the town! you did a great job with the photos. 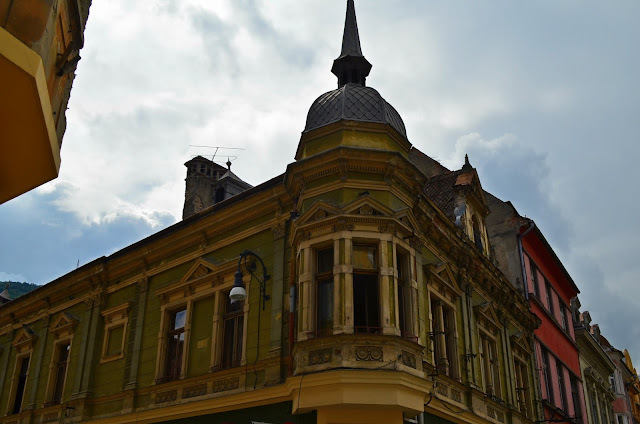 My husband visited Romania on a quick 3 day shoot earlier this year, and while it wasn't on our map until then, he came back raving about the people, the food and the architecture. 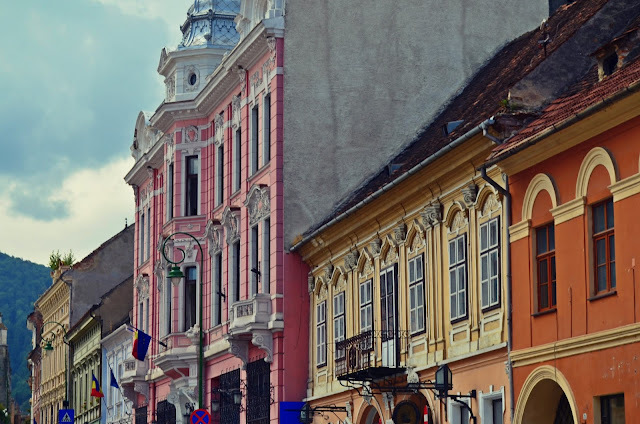 So we'll definitely include Brasov on our itinerary! I never even knew there was a place called Brasov. I must go. 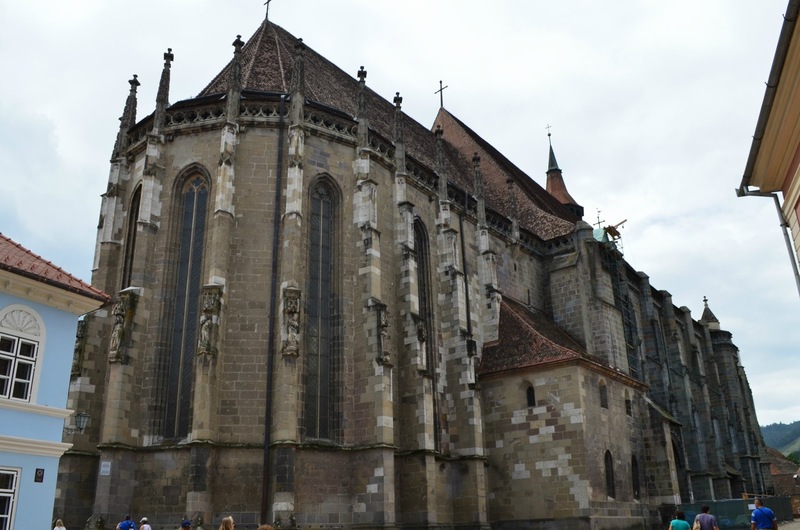 Great photos, the black church looks cool. Keep up the great work!